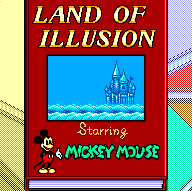 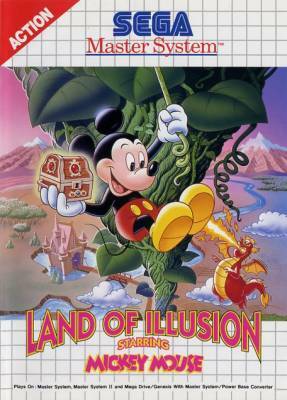 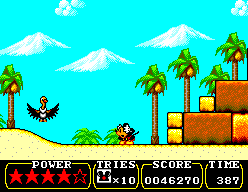 Land of Illusion - Starring Mickey Mouse - Games - SMS Power! 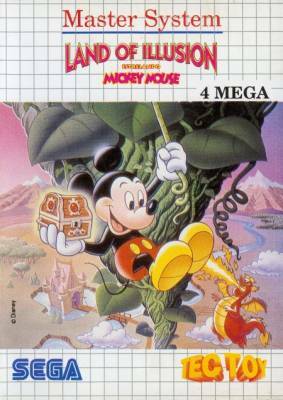 Journey with Mickey Mouse through spooky castle ruins, dark caverns, an enchanted forest and a toy shop gone crazy! 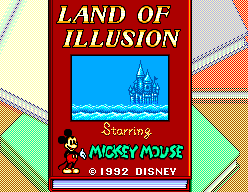 Use your wits and Mickey's magic to evade challenging traps, explore secret passages, and restore peace and happiness to the Land of Illusion!